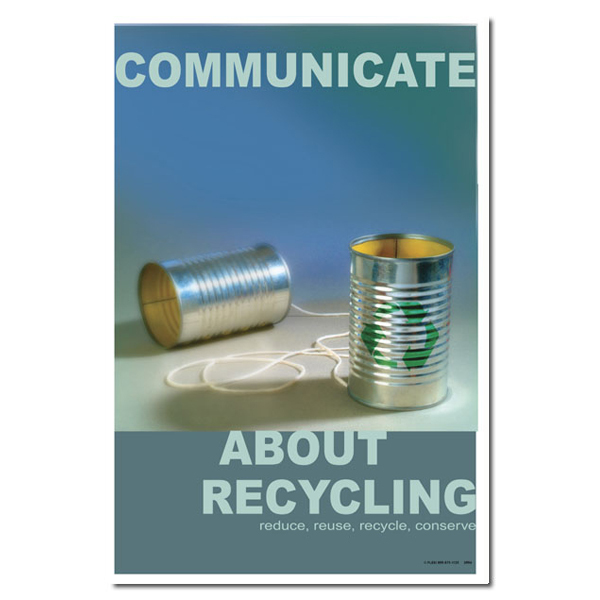 Theme: An image of two cans with a string in between conveying the message that we should communicate about recycling regardless of the method. 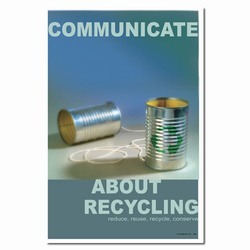 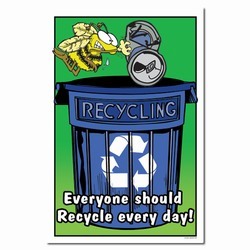 Message: "Communicate about recycling. 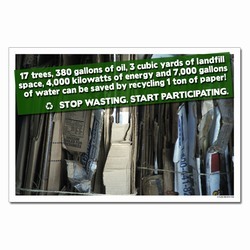 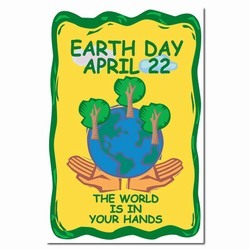 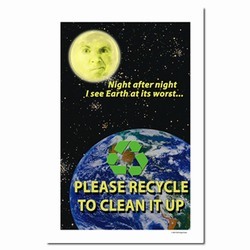 Reduce, reuse, recycle, conserve."